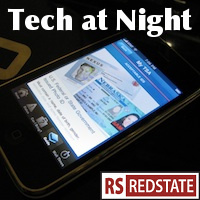 Tech at Night: Copyright flares up. Spectrum still matters too, though. Tech at Night: Still talking about copyright. Barack Obama still fails to lead on ITU. I said earlier this week that I wouldn’t comment on the RSC’s pulling of the copyright paper until I studied it. Well, I studied it, and they were wrong to pull it. Of course, for saying that, I’m being called some radical opposing the free market. Meanwhile I’m getting called an ignorant tool of the big media companies because I oppose further market meddling in the form of IRFA. It’s rare that a bill rises in awareness quickly but then dies hard. But by the time I’d even heard about the new Patrick Leahy power grab, this time spying on emails allegedly, he’s already given up on it. Score one for small government, at least. RIAA doesn’t seem to be hurting for options to protect itself against infringers at least, as it’s working existing avenues aggressively. People continue to try to invent new reasons to have government meddle online, but there’s just no case against Google on antitrust. It’s funny how people who love to talk about openness, and disruption, and freedom want to bring government against Verizon’s attempted innovations and invocations of freedoms such as speech. It’s almost like they’re picking sides against telecoms. Again. I’m not sure it’s news that Amazon is positioning itself to do well in a sales tax system, but I guess it’s a big deal that Jeff Bezos himself has made a statement. New York Times briefly silences critic on Twitter, before Twitter realizes reinstatement should happen. Where’s the outrage? Oh, right. It’s a lefty institution. It turns out they’ve been using ‘piracy’ to refer to copyright infringement for a very long time. Long before the Internet. At least since 1905, in fact. I did not know this.